The Christmas shopping season is about to set upon us in full force. You will have lots of options, but books can make great gifts. And as an author, it seems appropriate for me to remind my audiences that I have a couple of books available. I think they're pretty good! These are books that deal with the Bible, one takes up the Lord's Prayer and the other takes the reader into a study of the Ephesian Letter. 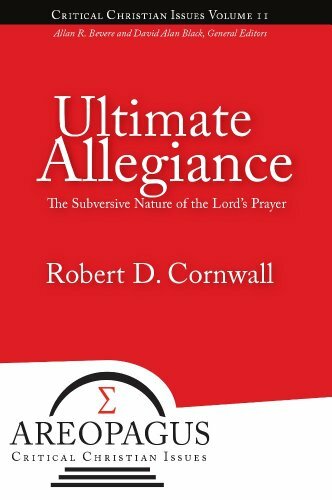 My book on the Lord's Prayer is called: Ultimate Allegiance, the Subversive Nature of the Lord's Prayer. (Energion Publications, 2010). I should note that you can obtain this book in both paperback and as a Kindle product. The Kindle edition is only $2.99! It’s no secret that we are formed by the rituals (liturgies) to which we submit ourselves (Jamie Smith, for instance, has a delightful passage in Desiring the Kingdom where he describes the liturgy of the shopping mall), and Bob Cornwall does a superb job here of exploring what the shape of a life shaped by the liturgy of the Lord’s Prayer might look like. I loved knowing that the book originated as a sermon series, because it highlights what I think is one of the book's overriding strengths: it is as deeply pastoral as it is scholarly. 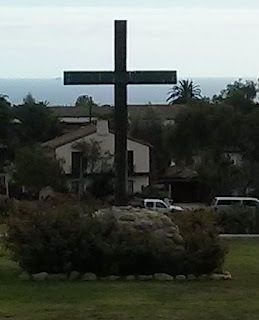 It engages the scriptures associated with the Lord's Prayer with both exegetical and practical attention, and is actually quite conversant in the whole of the Bible, drawing from a host of passages to place the prayer in scriptural context. 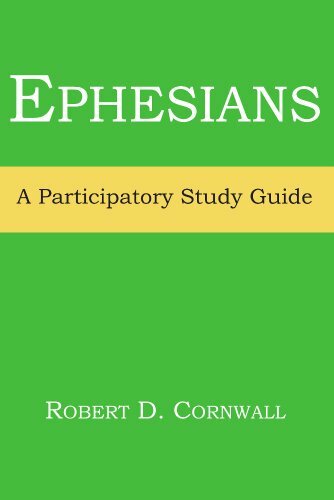 Then there's my study guide on Ephesians, which forms part of Energion's Participatory Bible Study series (a series that includes a book on Philippians by regular contributor here, Bruce Epperly). Entitled Ephesians: A Participatory Study Guide. It also was published by Energion Publications in 2011. It seeks to draw the reader/user into the deeper meanings of the Ephesians text. This book is filled with insights from a variety of theologians, pastors, mystics and scholars. I thoroughly enjoyed engaging the text with these deep thinkers. I felt like I was in a conversation with Bob and his collection of brilliant friends. The comments, prayers and insights of these intellectuals are worth the price of the book alone. So, take a look at these books and consider them as possible Christmas gifts -- or as study options in the new year!! Just follow the links! !